Kumar Sangakkara is retiring from one-day internationals at the end of this tournament. You have to wonder why. But regardless of how far Sri Lanka progress, Sangakkara will at least go out in personal glory. At Bellerive Oval, he became the first man in ODI history to score centuries in four consecutive innings, and the first to make four hundreds in one World Cup, and together with Tillakaratne Dilshan he ensured a comfortable win over Scotland. The 148-run victory should mean Sri Lanka finish third in Pool A, assuming Australia beat Scotland and New Zealand defeat Bangladesh. 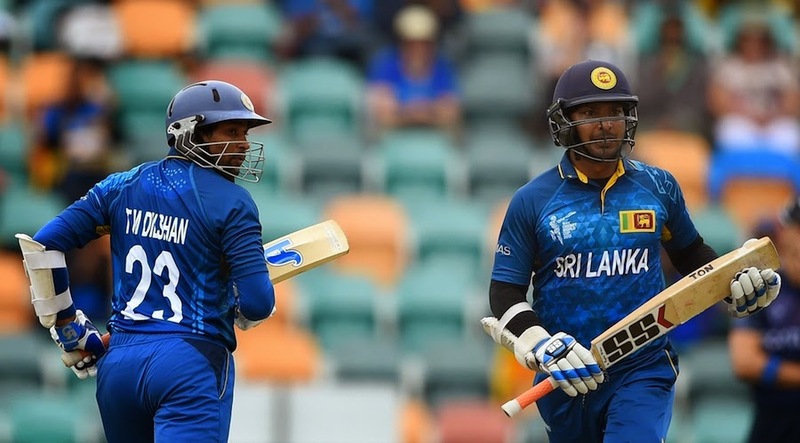 Scotland showed some fight with the bat, but the 195-run partnership compiled by Sangakkara and Dilshan was the difference. To cap off his outstanding day, Sangakkara also moved past Adam Gilchrist to top the all-time World Cup wicketkeeping dismissal tally.